Far away from the warm ocean breeze, where the land meets the shore, cold water surfers look out into the abyss calculating where they should paddle out, how long they should surf for and their exit strategy to ensure they keep warm when they hop out of the freezing cold water. 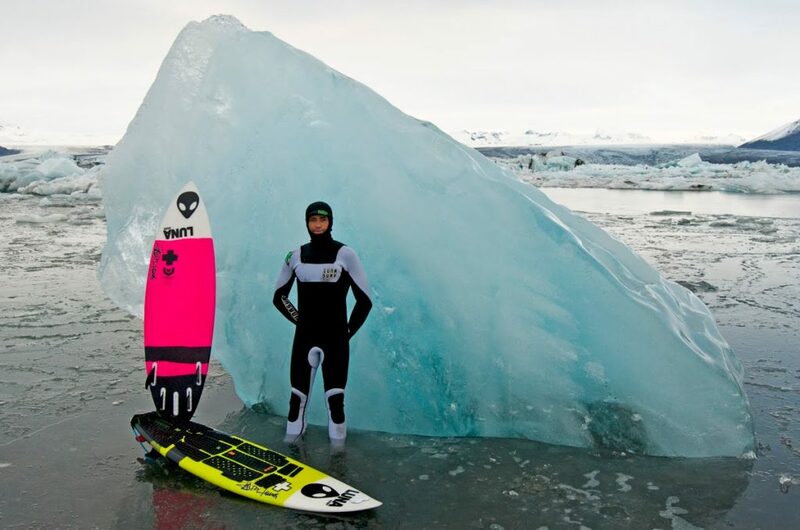 Cold water surfing is far from elegant. Your eyelids will freeze, icicles will form on your beard (if you have one) and you will freeze, like really really freeze. But it’s all worth it, because the waves you can catch in cold water surfing are pretty epic. From The Great Lakes to the shivering seas of Iceland, there are a plethora of sparkling cold water gems around the globe. 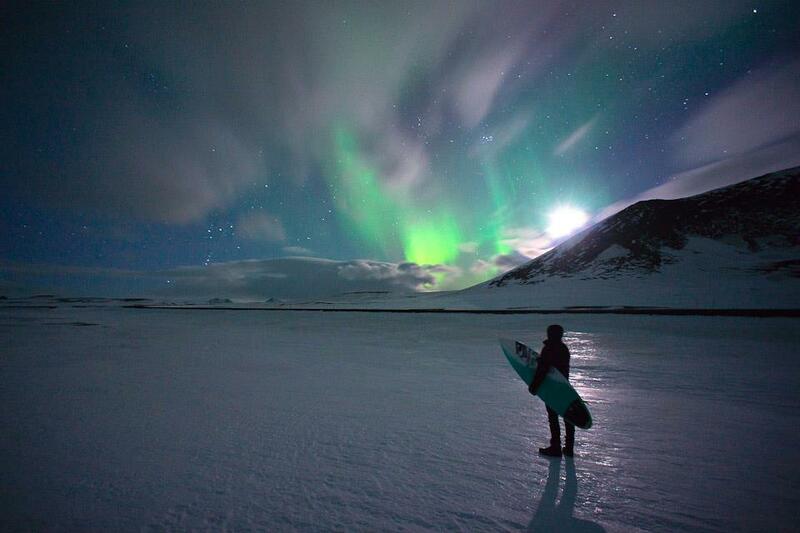 Here are a handful of spots we love to surf in below zero temperatures. When snowstorms take over The Great Lakes, it is bliss out in the water. Cold water surfers across The Great Lakes take to their 5/4/3mm wetsuits, 7mm booties and 5+mm gloves and head out into the surf. One of the most popular spots to surf in the Lakes is out in Duluth, Michigan. Picture this, nearly 24 hours of sunlight, winter swells and uncrowded surf. 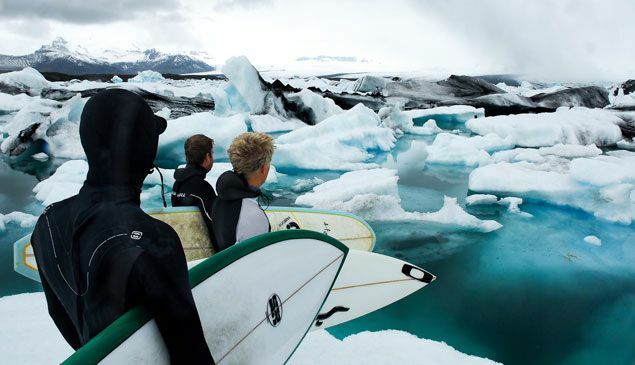 Experienced surfers travel to Reykjavik to surf Icelandic waves that crave freezing cold temperatures and cold waters. Surf smart here with dangerous rocks, undertows and rip-tides that are found here. With the backdrop of The Northern Lights the Lofoten Islands in Norway is seriously a sweet ride, if you like below zero temperatures that is. Whenever we hear the word Alaska, we immediately think freezing cold weather and water. This isolated island, namely Fossil Beach, is home to the best cold water surfing with waves that range from 150 – 300m long with swells between 1-5 m, a surreal ride is surely in order. Whether you’re venturing off into the Arctic or a little closer to civilization you will need a full-body wetsuit (with hood), booties and gloves. The wonderful thing about today is that wetsuits nowadays are lightweight and move with your body, so there’s no need to stress about not being able to stand up on your board because your wetsuit was hawling you down. If it’s your first time cold water surfing, we suggest you find a few friends who are regular cold water surfers to give you the ins and outs as to what wetsuit suits the water temperatures, wave forecast like crazy and be prepared to be an icle after the greatest surf of your life. 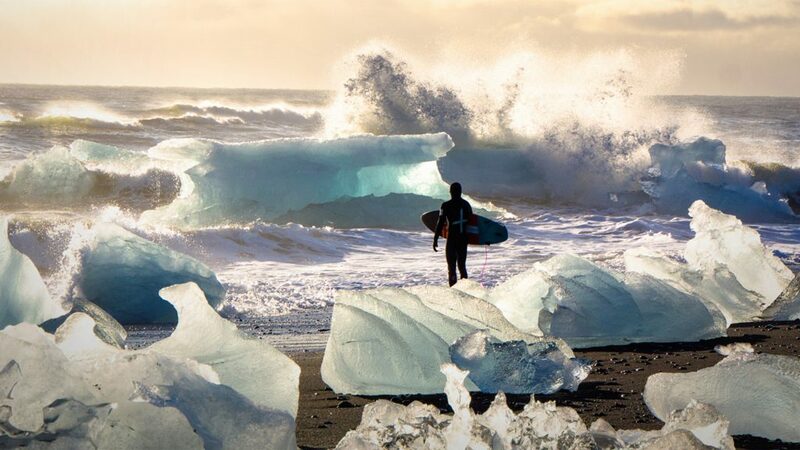 Surfing in cold water is nothing like surfing in the likes of warm water. You need a smart exit strategy to make sure you don’t get frostbite from the thundering snow and ice that forms on your face. Stock up on hot coffee or tea in a thermos, hop into your car with the heat on high, drive back home, wetsuit still on, and hop into a hot shower to get the frozen ice off. If you live too far away from your favourite wave, fill a couple of thermoses up and pour them in your wetsuit to bring your core temperature down after your surf so you don’t catch hyperthermia. When you have a love for surfing, and don’t live anywhere near warm waters, you study when the swells are coming, grab your wetsuit and head out for the coolest and coldest surf session of your life.